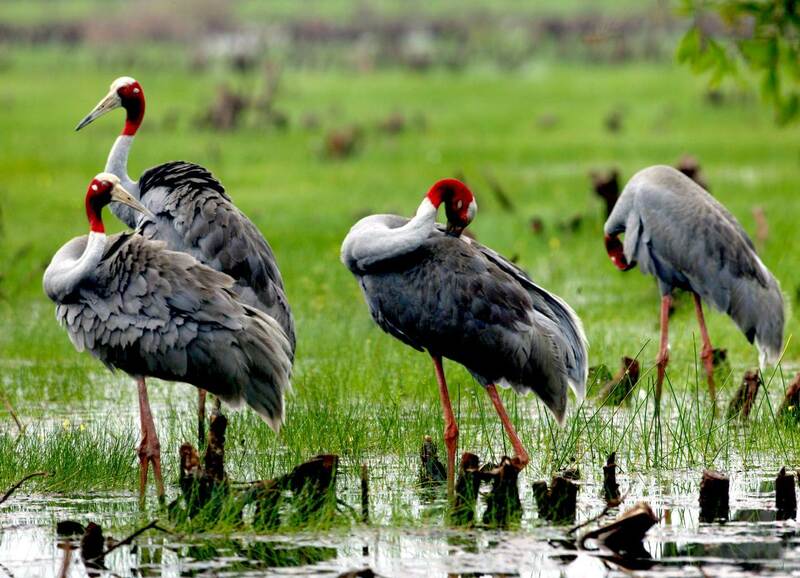 Best of Vietnam Tour 12-day tour is ideal for travelers with more time budget, featuring many attractions that Vietnam has to offer. Highlights include Halong Bay's overnight cruise, Golden Hand Bridge, world's heritages of Hue and Hoi An, a homestay in Mekong Delta and two central urbans Hanoi and Ho Chi Minh city. 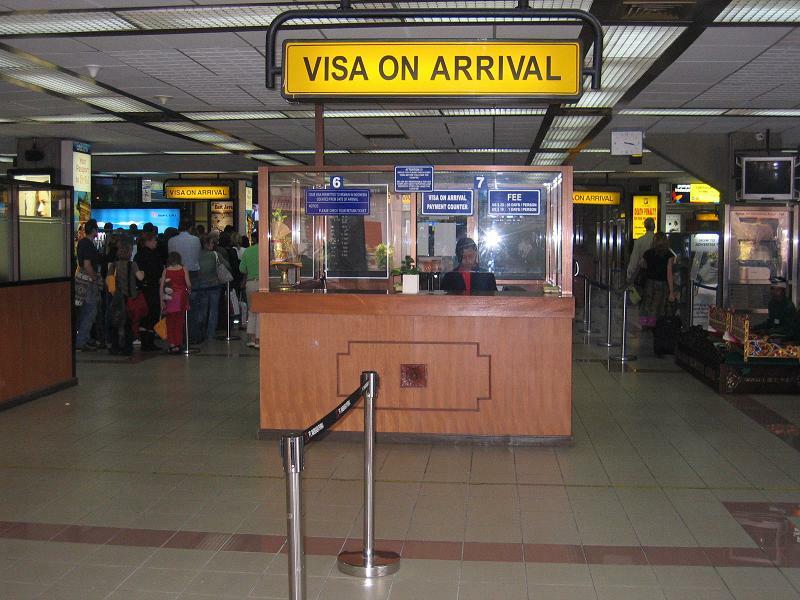 - Upon arrival at Hanoi Airport, obtain your Vietnam visa ( with pre-approval letter) , and then clear Immigration and Customs. - After collecting your baggage, exit the airport to meet outside our driver. He/she will be holding a sign with your names on it. - From the airport, you will be privately transferred to your lovely hotel. - Settle in and enjoy the rest of the day at your leisure. 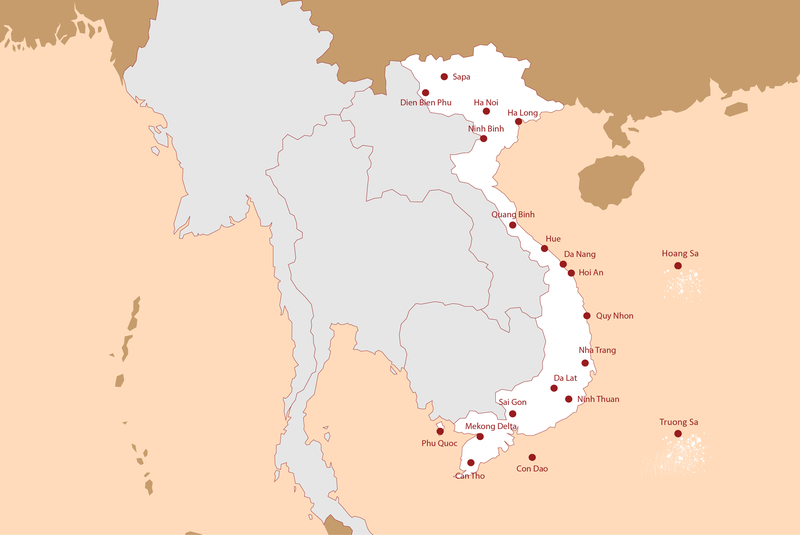 - You'll head out with your guide and begins with a visit Ba Dinh Square to see Ho Chi Minh’s Mausoleum, the museum to his life and the simple cottage where he lived and worked, along with his "house on stilts" and his final resting place; and take in Hanoi's famous One-Pillar Pagoda, constructed in 1049 to resemble a lotus blossom. - This afternoon, drive through Colonial Hanoi, seeing the Opera House and other local sights. 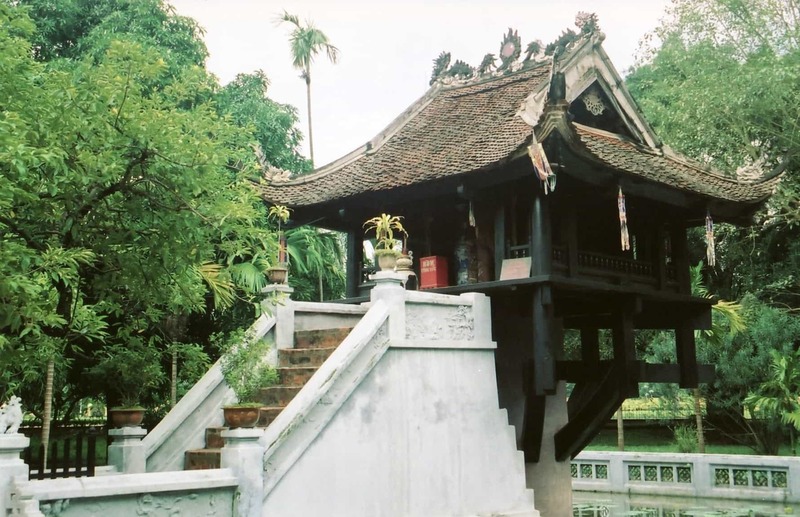 - And continue to the Temple of Literature, which dates back to 1070 and is dedicated to the cult of Confucius. 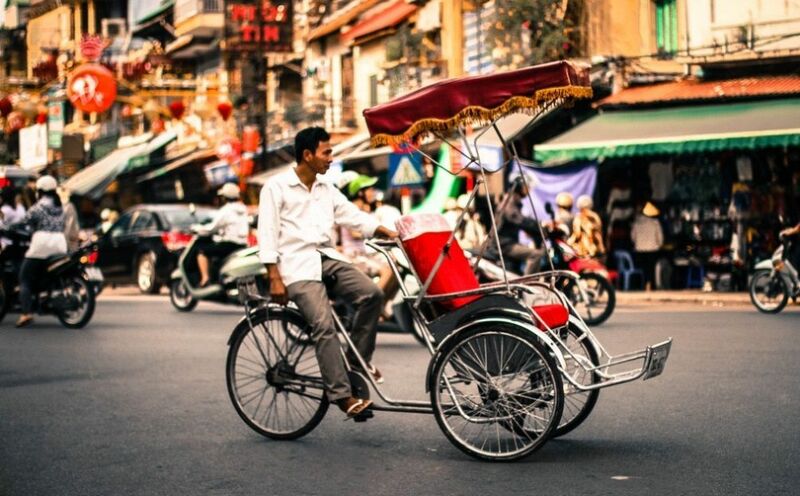 - Next enjoy an electric tram tour or cyclo tour through the Hanoi’s Old Quarter, a network of narrow alleys and shop houses also known as “The 36 Streets.” This is a wonderful place to watch the local life, and peruse items from fabrics to crafts to exotic medicines. adjust the tour itinerary to suit you. You can skip one site or add another if you so wish. - After breakfast you will leave Hanoi for the 3.5 hour journey to Halong Bay, passing through a number of North Vietnam towns and villages. - Upon arrival you will be welcomed aboard your traditional junk; designed in the same style as those that have sailed the bay for 100’s of years. Begin a relaxing and unforgettable cruise around the breathtaking and unique limestone karsts and islets. A delicious fresh seafood lunch will be served as you cruise this spectacular bay, a UNESCO listed site. 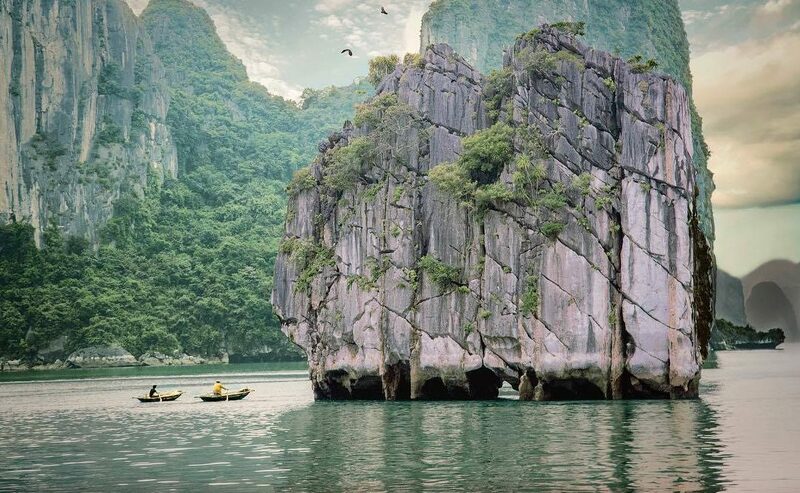 - After lunch you will explore some of Halong Bay's famous caves by bamboo boat or kayaking based on your preference. - And then reach on the top of Soi Sim beach to have a panorama view of Halong Bay. All activities arranged by the cruise are on a shared basis. 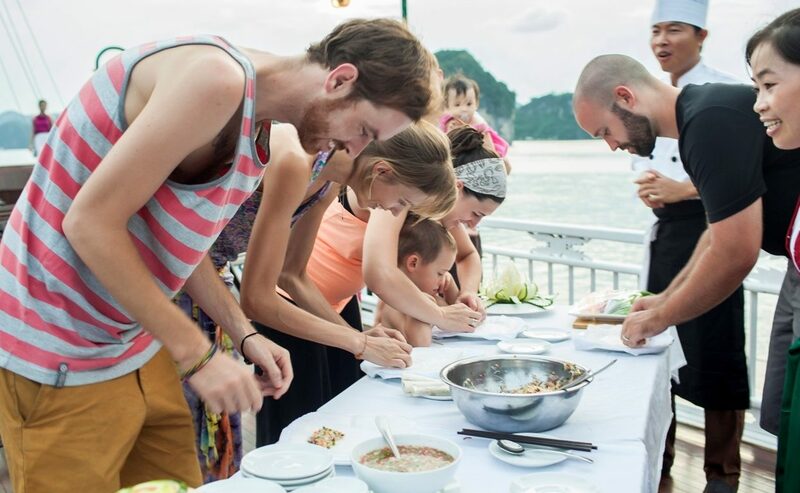 - Return to your junk boat to watch a cooking class or fruits & vegetable carving on sundeck – How to make spring rolls. Then enjoy Sunset Party together and Happy Hour (buys two drinks, gets one free from 18.00 to 19.00). It is time for chit chat and relaxing before enjoy your dinner and evening activities around the bar. * Please note: Program may differ slightly base on cruise ships. An extra night can be added to the program. If your time is flexible, we highly recommend it. - Wake up to see the sunrise over the spectacular horizon, reflecting in the pristine waters of the bay, with a cup of tea or coffee. 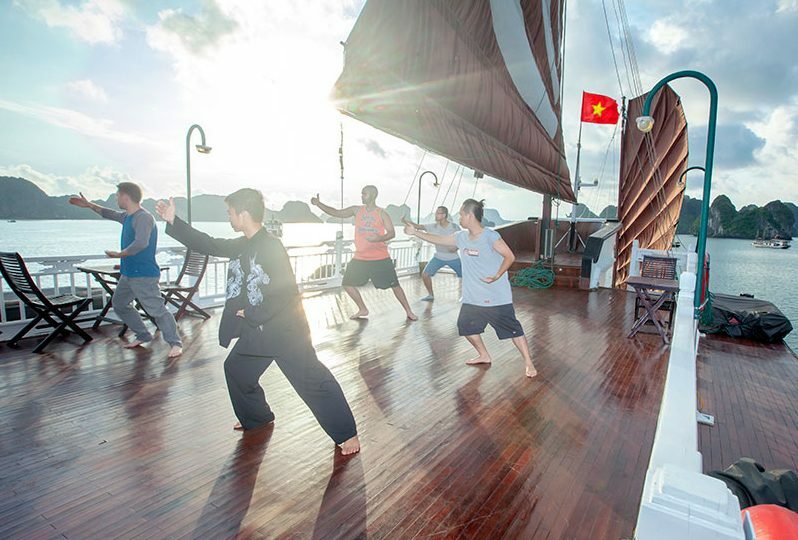 Then join a Tai Chi class on the sundeck if you wish before enjoying breakfast in the fresh air. Continue to sail around this natural wonder. - Return to the boat then check-out of the cabin. Start cruising towards the harbor while an A la carte lunch is served. The crew will bid you farewell and you disembark with our tender boat to the Tuan Chau Pier. - Return your Hanoi hotel by cruise’s shuttle bus to collect big baggage and take a private transfer to Hanoi airport for your short flight to Hue, Vietnam's most beautiful city, and now a UNESCO World Heritage Site, located on the central coast of Vietnam. - Upon arrival at Phu Bai Airport. After collecting your baggage, exit the airport to meet our driver. He/she will be holding a sign with your names on it. From the airport, you will be privately transferred to your lovely hotel. Settle in and enjoy the evening at your leisure. 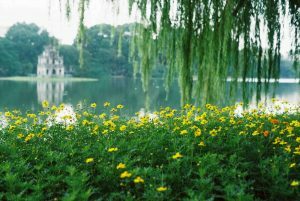 - This morning visit the Imperial Citadel and the Forbidden Purple City nearby. Modeled on the Forbidden City in Beijing by the Nguyen emperors in the early 19th century, the city was badly damaged during the war but the imposing city walls surrounded by a large moat afford good views of Hué. The palace retains a feeling of its past scale and importance, with detailed stonework and pavilions and it is at the moment in the process of being restored to its former magnificence. 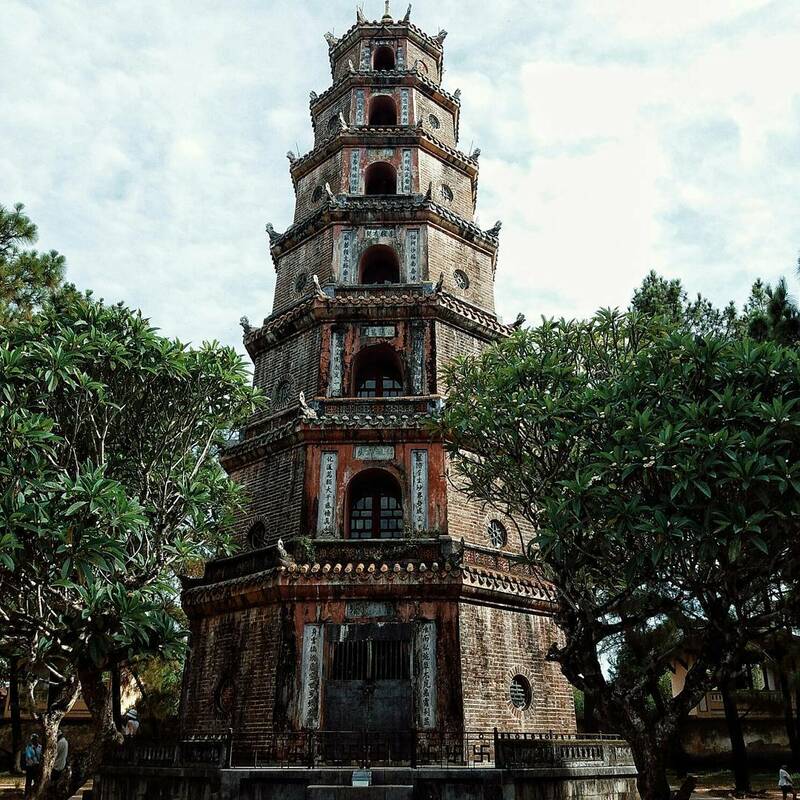 - Continue to Thien Mu Pagoda, sitting on the riverbank outside the city, this octagonal seven tier stupa has long been regarded as the symbol of Hué and was founded in 1601. It is still a site of Buddhist worship and its huge bell is said to be audible from the city. - After lunch at local restaurant (on own account) you’ll continue to explore Emperors Tombs Hue’s environment is dotted with tombs of past emperors of the Nguyen Dynasty. Construction of the tombs was meticulous carried out starting whilst the king was still alive in order to ensure his comfort in the next life. Most of the tombs have courtyards, a temple for worship, statues of elephants and figures and a pond, but the layout of each is different reflecting differing each king’s personality and style. They have a lovely peaceful atmosphere. Khai Dinh and the tomb of 19th-century emperor Tu Duc, considered the most beautiful mausoleums around Hue. Each ruler of the Imperial City built his own tomb during his reign. Drive to Ba Na Hill. Recently, Ba Na Hills was honored as among the Top 5 at the “Honors and Awards ceremony of Viet Nam Tourism Award 2016”. This is the second year consecutively Ba Na Hills has received this only annual award of Vietnam Tourism Industry. Since the very first day of operation, Ba Na Hills Resort has continued to innovate, providing new and novel experience to visitors. Additionally, Ba Na Hills is also the image of a joyful and friendly resort with a chain of festivals taking place throughout the year: Flowers Festival in Spring, Wine Festival, Summer Cheering Festival, Street Carnival, etc. 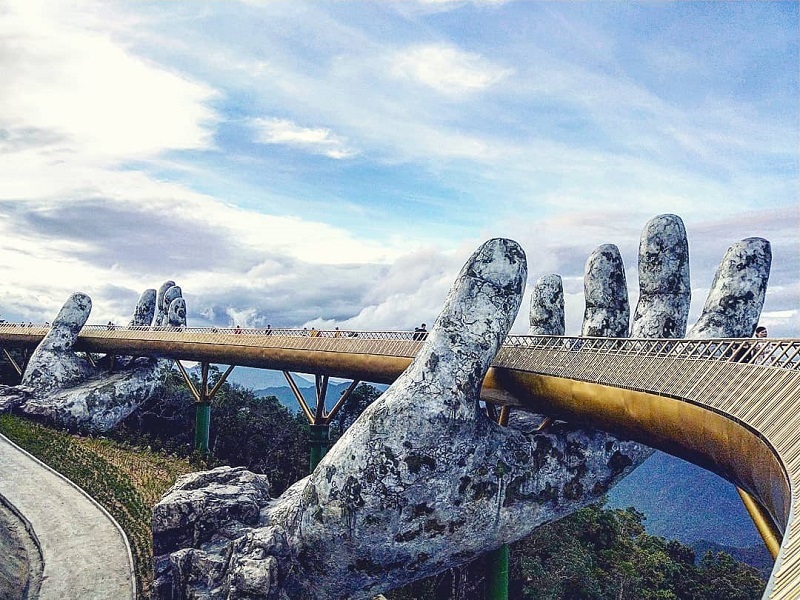 Right at this moment, Ba Na Hill proud of Golden Hand Bridge, which has been voted as “Top best places to visit in the world” by Time Magazine. - Take a cable to go down and get back on your car for driving heading to Hoian. Check in your hotel in Hoian. Left of time, you can relax or visit the ancient in dark. - Start this morning with a biking trip to Cam Thanh Village. Stop to take some beautiful photos. Arrive at the village of fishermen Van lang-Cam Thanh. - Arrive at the village, embark on a sampan bamboo basket: rowing competition, practice of fishing technique. Take a little rest in the house of fisherman (Mr. Phong) with the welcome green tea, a beautiful walk in the village to see the daily activities of fishermen. - Continue biking to the Tra Que herbal village passing through the rice fields, fishponds…A quick stop at the local market - Ba The where local people exchange their self-consumption in the region. 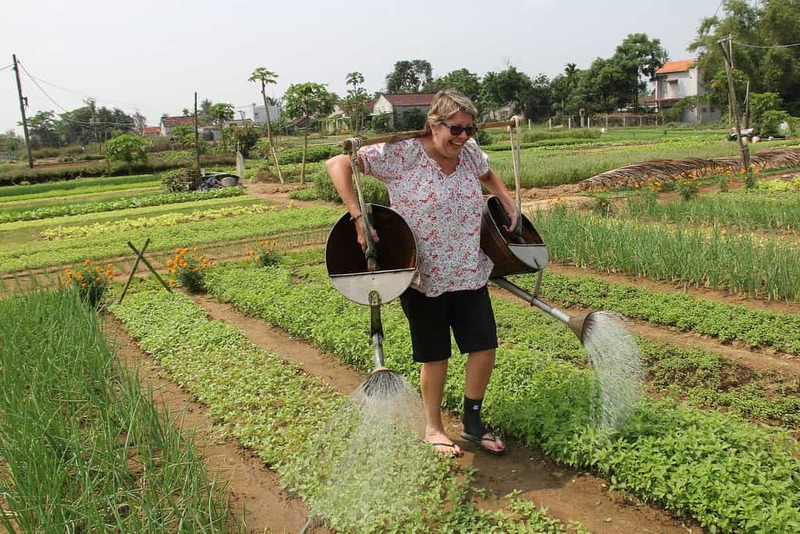 - Arrive home gardener (Mr Chinh), you are delighted to be a real gardener by working in the field with the skill, patience (raking, fertilizing, cultivating and watering soil). - Back to Mr Chinh’s home. Relax by a foot massage with medicinal herbs that planted in the family garden. Prepare vegetables and herbs from Tra Que, small pratice of cooking the dishes: crispy pancake (meat, shrimp, beansprouts…), spring rolls of Hoi An, Tam Huu, grilled fish in banana leaf… Enjoy the dishes you made. After that, biking back to the ancient town. 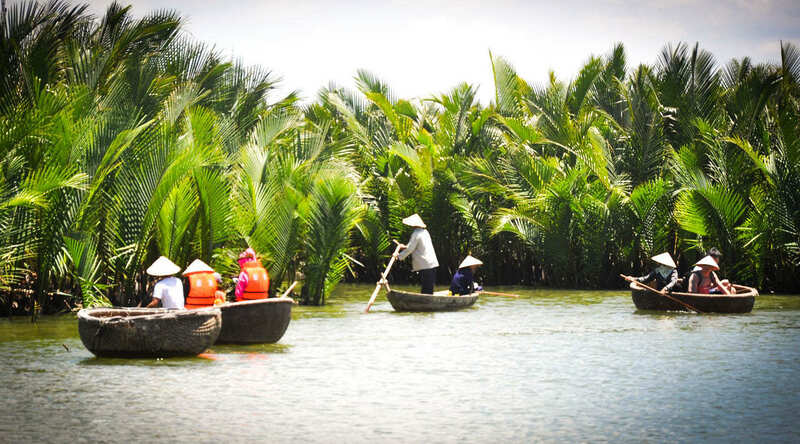 We will discover Hoi An Ancient Town to see how the traditions of the past are treasured in the present in town along the Thu Bon River. - Touring Hoi An's historic highlights such as well-preserved, centuries-old streets, dwellings, temples and pagodas; Explore its shop-lined streets, view the red-painted Japanese Covered Bridge - the three Chinese characters over the door mean "bridge for passers-by from afar" and Meet the 200-year-old "Phung Hung" house, noted for its unique architecture. 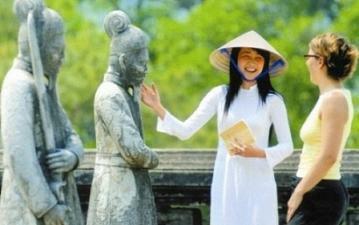 What you'll see there will reveal much about the lives of Hoi An merchants long ago. - Upon arrival at HCMC Airport. After collecting your baggage, exit the airport to meet outside our guide. He/she will be holding a sign with your names on it. From the airport, you will be privately transferred to your lovely hotel . We’ll discover Saigon's historic landmarks including the War Remnants Museum, established in September 1975 in Ho Chi Minh City, it contains countless artifacts, photographs and pictures documenting some of the less heroic activities carried out by the US army in Vietnam. Planes, tanks, bombs and helicopters are also on display. - Next visit the FITO Museum, it is the first museum of Vietnamese medicine. On display are nearly 3,000 items dating back to the Stone Age. Exhibits include tools used to prepare medicine, knives, mortars and pestles, documents and objects from a traditional pharmacy. The museum regularly screens a documentary about the history of medicine. Continue visiting to the 1880's General Post Office and the late 19th century Notre Dame cathedral, located in a peaceful part of the city. 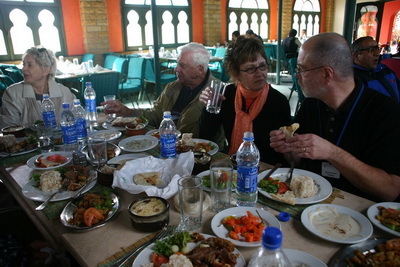 Ending at Ben Thanh Market or House of Saigon for shopping and café. 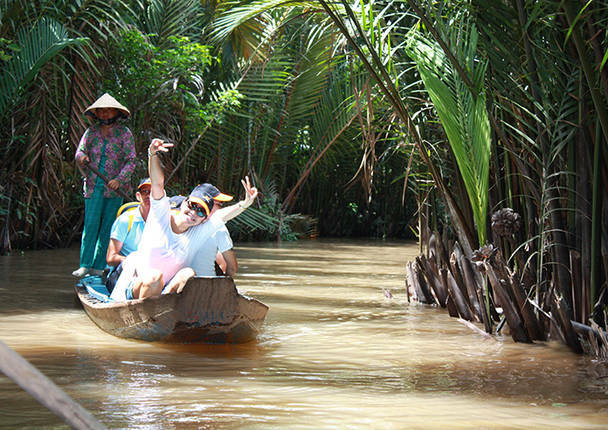 After breakfast, leaving the busy city, you will start your trip to Mekong Delta. Up on arrival at Cai Be, you will take your first visit to Cai Be Cao Dai Temple and Cai Be Cathedral. After that, get on a cruise to visit Cai Be colorful floating market among local barges full of fruits and vegetables. Then, an optional stop can be made at local workshops where you can see how to make rice paper, coconut candy and pop-rice, pop - corn. In the afternoon, a rowing boat will take you deeper into the countryside on smaller canals and to enjoy the peaceful time. It is so interesting to see traditional houses made of wood and palm tree leaves and see some activities of the local farmers. Go back your home–stay and get ready for next activities. You will try catching fish in the river and collecting vegetable. You will be guided to prepare dinner by our local Chefs in the late afternoon. Have some fruits and tea when enjoying the local traditional music, Don Ca Tai Tu. 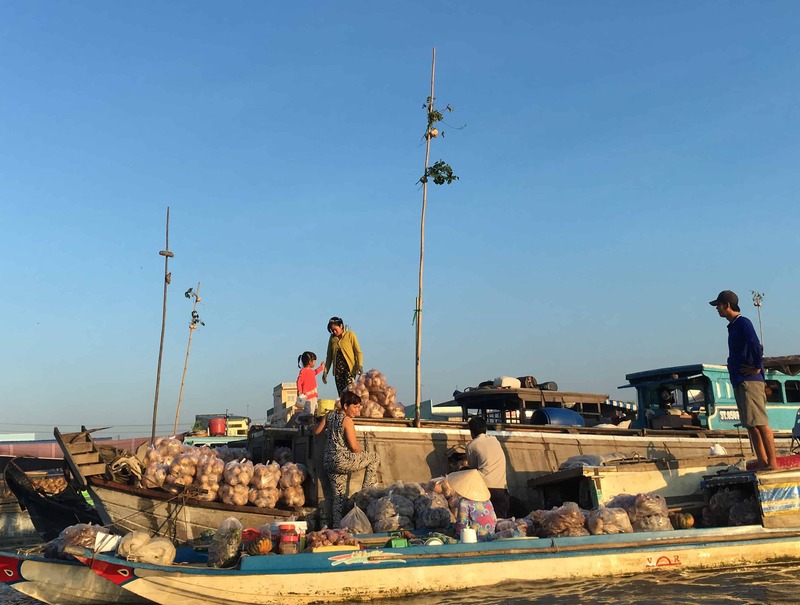 Note: The floating markets in the Mekong Delta are no tourist markets but wholesale markets where produce of the Mekong Delta like fruits and vegetables are traded. For this reason the number of boats on the market fluctuates depending on harvesting seasons and market demand. Furthermore, modern wholesale markets are becoming more popular in Vietnam. This can result in decreasing numbers of boats being present on the markets. Have a breakfast and hop on your bike for a discovery of Tan Phong Islet. You will visit kindergarten. Stopping at a local farmer’s house to learn how to make Jackfruit leafs cake and then cycling to Bonsai garden and talking to him to understand how local farmers take care for their gardens, then try plucking the fruits and tasting them. You also will have chance to listen to the traditional local music, Don Ca Tai Tu. After cycling back to your home-stay, you will take short rest and check-out at about 11:00. After lunch, your boat will transfer you back the tourist boat Cai Be for driving back to Ho Chi Minh City. Morning tour of the Cu Chi Tunnels: This morning, enjoy scenic drive through the countryside as people work on their rice paddies and thatched hut villages scattered along the way. Visit a local village making rice paper, a well-known product used to make the delicious spring rolls. Arriving at the Cu Chi Tunnels to explore part of the 151-mile underground network that zigzagged from the southern tip of the Ho Chi Minh Trail near Cambodia to the Saigon River. Cu Chi is a must for anyone interested in understanding a vital aspect of guerrilla warfare fought by the Vietnamese against both the French and the Americans. These criss-crossing tunnels were begun in the late 1940s by local resistance fighters looking for a place to hide their weapons from the French. Discover secret trapdoors, field hospitals, command posts, underground kitchens, living areas and meeting rooms. Optional excursion: Please contact us if you interest. · Best of Vietnam Tour 12 Days prices shown are 'per person', based on a travelling party of at least 2 adults, and sharing a room. If you intend to travel alone, the cost might be much higher. · The 'Single supplement' applies for single travelers who require their own room and needs to be added to the tour price. · Note: Amendments CAN be made to this tour to suite your requirements, but may incur price changes.